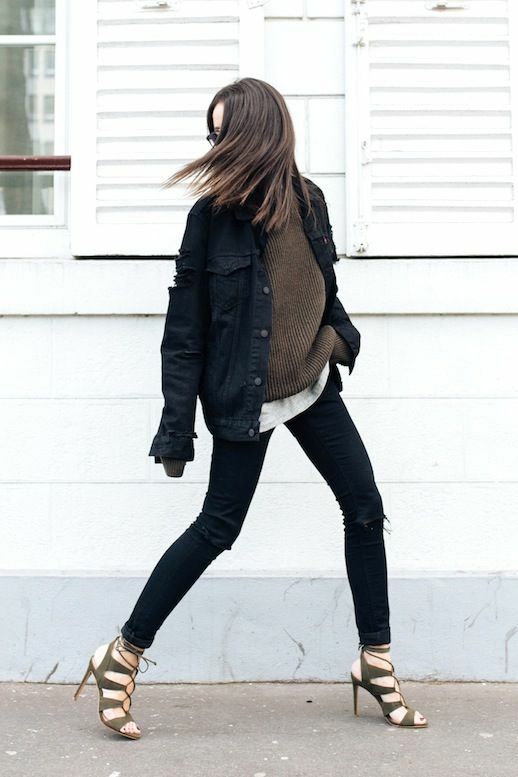 Alex put together an outrageously cool layered look that's spot-on for the fall season. 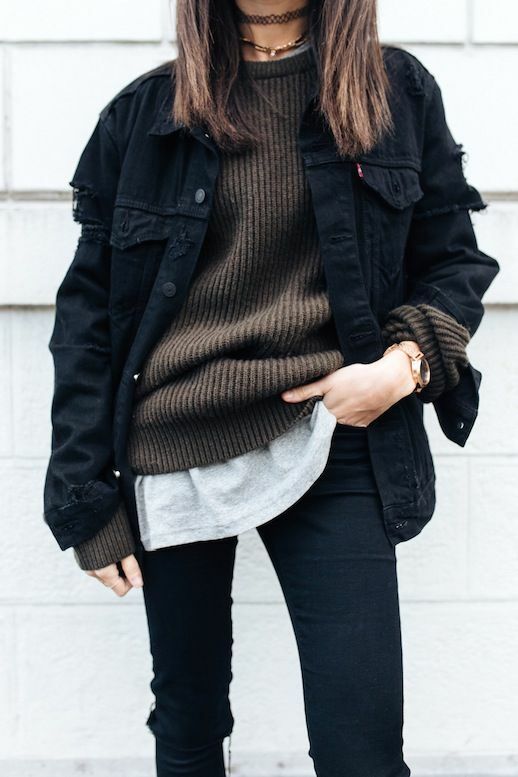 To pull if off, you'll need an oversized black denim jacket, a brown ribbed sweater, a grey tee, skinny black jeans with ripped knees, and olive green lace-up heeled sandals. Oh, and let's not forget a chunky gold watch!